Need Answers To Your Remodeling Questions? According to research, Kitchen Remodeling is second only to a home addition in providing a return on your renovation investment. With a return on investment of 80-100% a kitchen renovation adds lasting style, livability and character to your home. The kitchen is THE room in your house which makes the largest single impact on visitors and prospective buyers. Let us show you how attractive and affordable a new kitchen can be. M3Maintenance offers full-service design and remodeling, allowing you to enjoy a low-stress experience. Our professional staff can manage every detail of your kitchen, bathroom, home addition, or whole house remodel. We also excel in attractive and functional decks, patio covers, and back yard structures. You fantasized about renovating your bathroom with the latest features—an egg-shaped bathtub, a glass basin, a granite counter top. But you never imagined having to remodel your bathroom because of toilet leaks, falling tiles and musty smells. 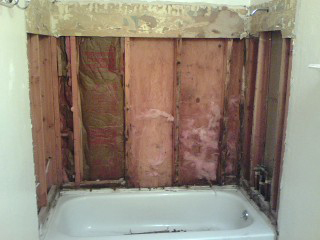 When your bathroom is ravaged by water damage, remodeling can’t wait. 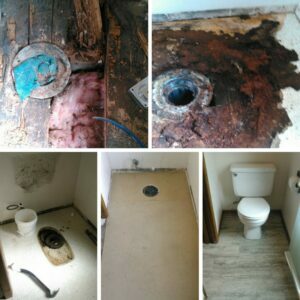 Bathrooms are prone to water damage. Steam from showers and baths expose bathroom walls to higher levels of moisture. Water dribbling underneath tiles can damage the floor underneath. Water vapor seeping into walls through old grouting can cause deterioration. Pinholes on water lines can splash onto inside walls. Modernizing your master bathroom? Adding sinks and counter space to keep up with your teenagers? A bathroom update or remodel not only increases the livability and comfort of your home, but also adds value for years to come. 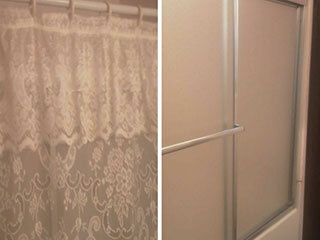 Tired of a moldy shower curtain? 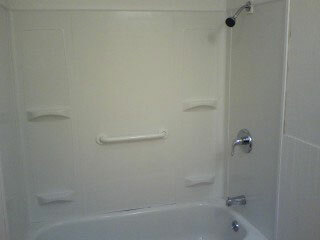 We can install a new sliding door for your shower! Our knowledgeable staff has the ability to find and fix what’s behind those walls. 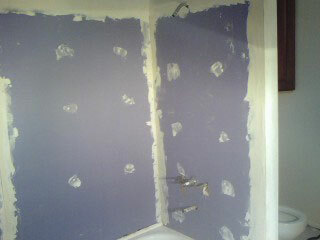 After determining how best to support your shower, we’ll button it up properly for a long-lasting repair. The look of the final finish is as important to us, as it is to you. We understand that form needs to follow function.